Artificial Intelligence was the hot topic at a business lunch co-hosted by the Australia Israel Chamber of Commerce (AICC) and iAngels, an innovative Israel-based venture capital company. 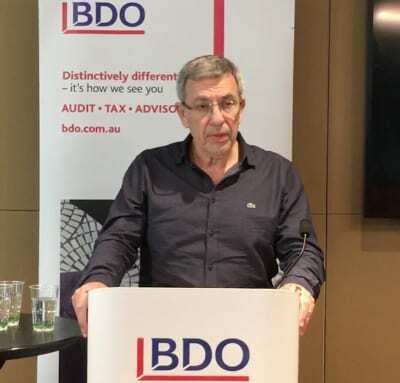 The luncheon was held at the offices of BDO Melbourne and included nearly 100 Australian business leaders, potential investors and leaders from Israeli technology firms with a focus on bringing Artificial Intelligence solutions to the business world globally. Artificial Intelligence involves computers learning and has been around for decades, but today it has become mainstream. The maturing of data science has led to it becoming a key part of business around the world. The Chairman of the Israel Australia Chamber of Commerce (IACC), Major General (Ret) Ido Nehushtan, described how the world is in the midst of the fourth industrial revolution, where Artificial Intelligence is one of the twelve digitally-based technologies that modern companies must be leveraging. Maj Gen Nehushtan served as the 16th Commander of the Israel Air Forces from 2008-2012. During his tenure, he was responsible for strategic planning and force design and oversaw the successful launch of the “Iron Dome” active defence system for intercepting rockets and missiles in the air. Today, he is active in the private sector, serving as Chairman of Cannassure Therapeutics and is a senior strategic consultant for technology companies such as Dell EMC and Elbit Systems. He described some of the applications of the technology in a variety of industries, including in mining, weapons systems and transportation congestion. 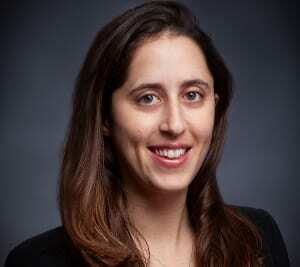 Shai Bronstein Regev, Vice President Investor Relations at iAngels, a female-led company based in Tel Aviv spoke about Israel’s position as a start-up hub, with pioneers in agritech, cybertech and healthtech in particular. 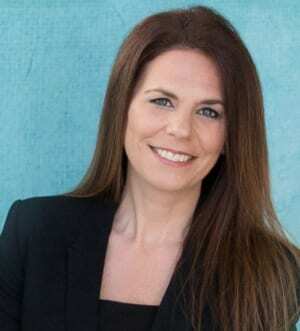 She pointed out that three Israeli universities rank in the Reuters top 10 most innovative universities and Israel’s position as a magnet for technology conglomerates, such as General Motors, GE, Samsung, Unilever, Google and Apple. iAngels provides a venture capital and investment platform focusing on emerging technology with more than half of its investments being in Artificial Intelligence related businesses. They search for Israeli start-ups with the potential to go global. Other speakers at the event included Amir Haramaty, Chief Commercial Officer of SparkBeyond and Dr Noah Ruschin-Rimini, CEO of Grid4C talked about the cutting edge application of Artificial Intelligence in telecommunications, banking, energy, media and healthcare.